Listen to episodes of the Tech Policy Podcast, featuring interviews about current policy issues with experts in technology policy. 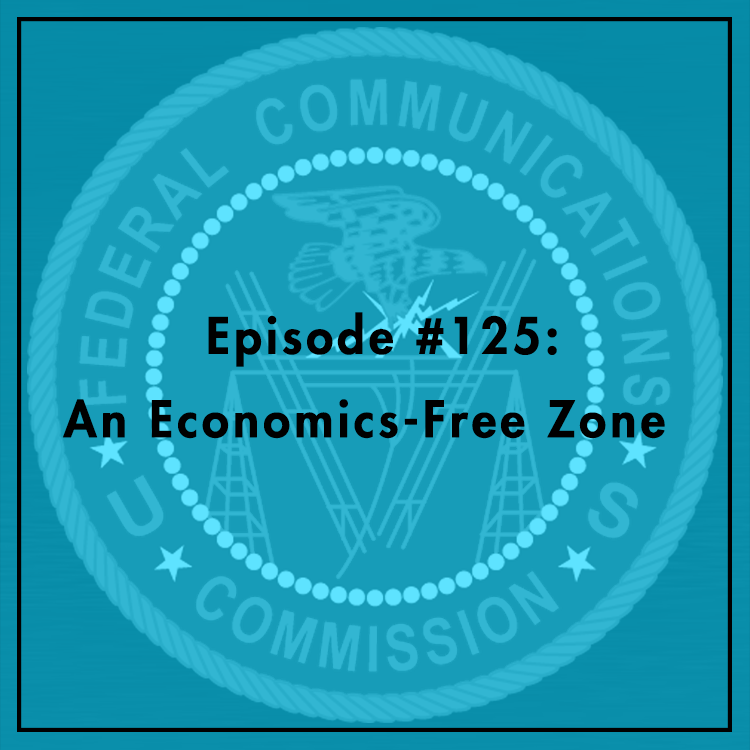 Is the FCC an “economics-free zone?” The agency routinely issues regulations that will have a major impact on businesses and consumers. But does the Commission truly weigh the trade-offs — the costs and benefits of its policies? Not nearly enough, says Hal Singer, Senior Fellow at the GW Institute for Public Policy. In an op-ed for the Hill, he charges that this FCC in particular is more preoccupied with politics than economics. What does it mean to be “economics-free?” What can the agency do differently. Evan and Hal discuss. For more, Read Hal Singer's report, "The Curious Absence of Economic Analysis at the Federal Communications Commission: An Agency in Search of a Mission." Copyright 2016 TechFreedom. All rights reserved.